Learning about animal migration is perfect for winter science lessons. And you can add more to your science activities with these 16 beautiful Migrating Animals Printable Pictures! 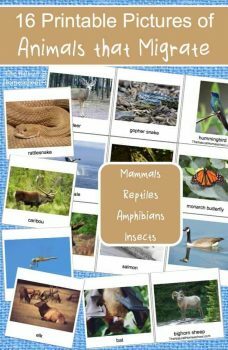 So, check out her Migrating Animals Printable Pictures and take a look at her other animals in Winter materials! For other migrating animals or animal resources, check out Animals that Migrate Coloring Book and Animals that Hibernate Cards + Extra Facts! Get the Migrating Animals Printable Pictures today!